Have you been looking for a confidential place to talk with other nonprofit executives about challenges you face in leading your organization? Are you tired of little ROI on your investment of time and money in executive training and organizational development? Do you want to foster your commitment to life balance, life priorities well integrated and enhanced by your work priorities? 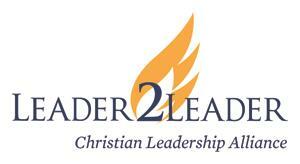 Join other nonprofit chief executives in the peer advisory group program Leader2Leader. We can make connection for nonprofit executive leaders to Leader2Leader groups throughout the country, simply by filling out the form on the right. We will put the team leader in touch with you directly to help you determine whether L2L has a place for you. A Leader2Leader group provides unparalleled access to new ideas and fresh thinking through a monthly group meeting just for nonprofit executives. An L2L group helps you solve your organization's biggest challenges and implement solutions for long-term success. Peer advisory teams gather up to 300 years of executive experience in a room filled with regular, persistent, consistent, and focused conversations. The impact is greater and the money spent is less than the combination of executive training seminars, executive coaching and organizational development consultants so many organizations currently use. Measurable growth meeting by meeting and for the long-term. To be considered for an L2L Team, please fill out the form at right.